Taylor Swift made her first red carpet appearance in two years at the 2018 Billboard Music Awards on Sunday. Joining Jennifer Lopez and Maren Morris on the red carpet, the 28-year-old entertainer flaunted her legs in a rose-colored beaded Versace dress featuring feathers and a long, floor-trailing cape. Her last red carpet appearance was at the 2016 BMI Pop Awards. 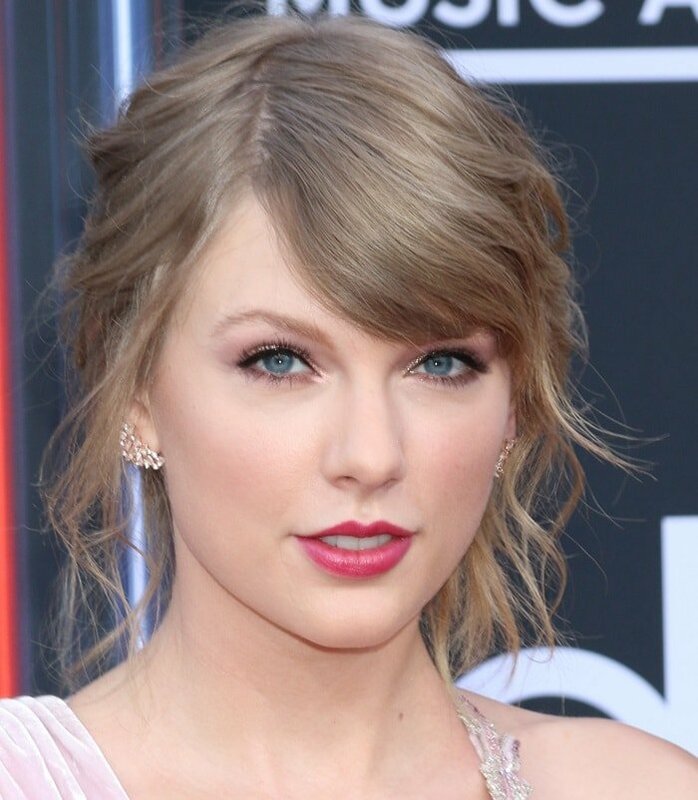 Currently in the middle of her smash hit reputation tour, Taylor won the awards for Top Selling Album for reputation and Top Female Artist at the annual awards show. She completed her ensemble with towering metallic Casadei heels ($950 in lilac and blue at Casadei) and Hueb earrings. You can buy her chain-decorated T-bar platform sandals in lilac and blue at Casadei. How would you style them? 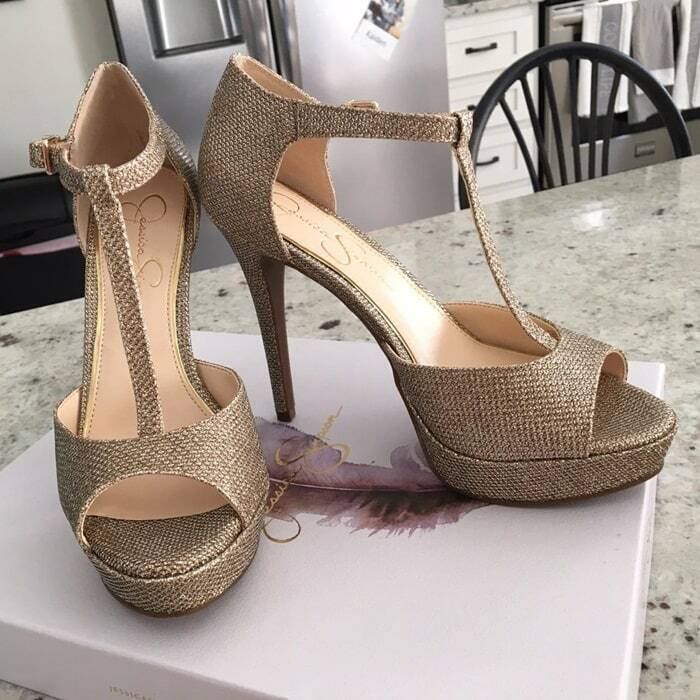 For an inexpensive t-strap alternative, check out the ‘Bansi’ open-toe high heels from Jessica Simpson that you can buy on sale at Amazon. Which color do you want?